Planning to start a mango farm or raising mango trees for business is not only capital intensive but also labor intensive. It requires a specialized knowledge on the needs of a particular variety of mango. Factors such as mango variety, climate, and soil are only a few things to consider in raising mango trees. One of the most important things to consider in raising mango trees for business is the suitability of the climate, the soil and the irrigation in the proposed site of plantation. Although mangoes can potentially grow in varied kinds of soil, it is preferable to plant them in light well-drained soils with low fertility. A chemical analysis of the soil is preferred before actual planting to correct any nutrition deficiency in the soil. Mango growers should also consider planting windbreakers at boundaries before actually planting the trees themselves to protect the tree from wind. Mango trees prefer frost-free climate with a cool dry winter. Mango tree growers must also plan for irrigation and drainage to prevent soil erosion. About 6 million liters (ML) per year per hectare of mango tree is needed. Drain water in grassed areas. There are many varieties of mangoes to choose from. 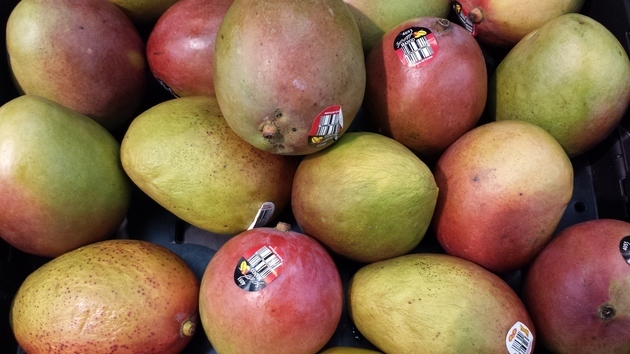 Choose the appropriate mango variety that is best suited to your region and climate as well as your targeted market. Before planting mangoes, it is important to have sufficient land area to plant your trees. The actual spacing between trees is still debated. It would depend on the variety of the mango tree planted. However, bear in mind that in spacing trees, there must be enough area for spraying machinery and harvesting aids. It has been recommended to plant only around 200 to 350 trees per hectare. Plant mango tree rows from north to south to maximize sun exposure. Mango growers can choose from grafted plants and seedlings. Their choice would depend on the mango variety they choose as well as their desire for early harvest. Grafted trees may produce in its third year but only reaches its peak in its sixth to eighth year whereas seedlings take longer time to grow. In planting mango trees, be sure to dig holes big enough for the root to settle comfortably. Potted trees can also be planted without disturbing the root system. Aim for a mango tree with eight main supporting limbs with a height of around three to four meters. Proper pruning of the mango tree should also be observed. Only a small amount of fertilizer is needed for young trees but they should be applied often. A proper fertilizing plan must be organized after taking a soil and leaf analysis. In harvesting mangoes, one can either harvest by picking mangoes with stems attached and remove the stems (desap) later in your shed or use harvesting aids and desap in the field. Dear Antony! I am charles o.odira from Kenya, running a business in Kisumu, Nyanza Province called Mixa Foods & Beverages. One of our responsibilities is raising Grafted mango seedlings. Currently we have over two thousand mango seedlings of various varieties like tommy atkins, ngowe, apple, kent, vandyke and others. By profession, i am a horticulturist and me and my firm could be of use to you. Agriculture is the profession. owning 30 acres. plan to raise mango crop. I have a small farm in Bukuya sub county Mweya village Mubende District, I want to grow Mangoes and Oranges at a large scale but I need advice on the variety that can do well in that location. please help. Hi, i'm from ghana and want to start mango farm in ghana in eastern region site at okwenya of 30 acre land pls which of the varieties can do well for business pls help me. I want to start a mango plantation in NAGPUR - MH please advise me regarding growing the mango trees? I am from Kandukur, Andhra pradesh,India. I want to start fruit plantation. I have sufficient water facility. What type of fruits can I use for plantation? In my side mango, sapodilla. Please help me. Hi,I want to start planting mango farm.I have 37 acres land please i would like to seek your advice steps i can take to do well in this business of mango farming.lilongwe,Malawi. phone number +265 999 479 142. I have 10 acres of land in yellareddy .AP. India. I am interested in mango plantation. Please guide me to plant the varieties for a good production and commercial value.What is the suitable time for plantation in this area. seedling is better or grafted plants. Pls this is the business i want to do in my retirement as a miner. I plant making about 10 acres farm with bee hives under it. Is it possible mixing the two together? Hola! I am from Rift Valley, Narok District, Maasai Mara Kenya. I am really interested in mango farming. My place has got dark loam soil, savanna climate. Can it do? Hi Charles,I am a small scale farmer in Migori County and would wish to invest in mango farming.Kindly help me with your contacts. i need the information about mango tree plantation in the region of dry area near SATARA in MAHARASHTRA. WHICH TYPE OF MANGO TREE IS SUITABLE FOR THIS REGION??? @Mwanje Moses, Hi Mwanje Moses, Mango is a fruit of warm climate. Even i can say it is a strictly tropical fruit. It is really easy to grow in a right climate. Here are some valuable points for you. These trees love to grow in well light soil. There two different ways to grow mango tree one is you can grow it from seed or you can buy direct trees from nursery and grow it. I will suggest you to buy the trees from nursery and grow as seed growing trees usually take longer time to bear fruits. Another thing i would like to suggest you that buy different variety of trees like some should early fruit variety and other should be late fruit variety. If your area climate is subtropical just make sure the tree you want to buy that flowers well in this climate. You should fertilize the tree in summer and spring only and don't fertilize a lot. we have mango farm on rolling hills is this suitable for the mango trees? i would like to grow mangoes for business. i have about 7 acres in kasanje wakiso uganda. what is the price of each genetically modified tree and how long it would take to bare fruits? i want to start fruit farming in mukono district ,uganda. I am seeking for advice on fruit planting .Which one is the best to plant? The crafted plants or the local ones which are not crafted? i dont like genetically modified plants, I would like to know if crafted plants have nothing to do them. thanks a lot for the answer which i hope to receive. hi, i am from ghana and i want to enter into agriculture, preferably mango cultivation. i have about 2 hectors of land in the volta ans eastern regions of ghana. which varieties should i grow and do you think the weather conditions in these areas will be suitable. My business place is khandelwal nagar, kanhan, nagpur.Basically i am expert of fruits plantation,like banana,mango,orange etc. i would like to grow mangoes for business. i have about 5 acres in Chole Kisarawe Tanzania. what is the price of each genetically modified tree and how long it would take to bare fruits? Hi; I'm from Pune and have 45 acres of land in Ratnagiri Dist. There are about 250 Mango trees and 300 Cashew tree . I want to develop my existing farm as well as develop unused land I have . Looking for a partner in this venture . I would like to start a Mango farm in Nakuru Kenya, on a 20 acre farm. I need to link up with growers and other stakeholders in order to share information and expertise. i am interested in planting mango for commercial purposes ,which type of soil,which climate is suitable for mango,at which season should I plant, please help, how long does the tree take to bear fruits? i am from gadag dist in north karnataka and i am pursuing my interest in making a 30 acre mango farm. advice on all aspects of mango farming is welcome. interested in high density drip irrigation system. I have apiece of land in Gwassi SUBA district, i want to plant mangoes what can i do? Hello, I have more than 300 hectors in Ethiopia Gambella state, I want to plant mango trees for business purpose but I don't know much about planting mango trees in general, please help. Hello I am Siva , recently completed Masters in international business. I have got an idea on cultivating mangoes, hope I could bring better yield.we have 50 hectares of mango garden & also I know how to buy fine and export quality mangoes from local markets. According to market analysis, business people could buy a complete cropes from cultivators, even I could manage this situation. My question is I wanna export mangoes to USA and EUROPE. Also looking a financial partner for investment, I will invite people who got import and export experience. Thanks for your time . Hello, need information about mango growing. some piece of land in mukono. How man trees can fit in an acre? are there any high yielding mangoes i can consider for commercial farming. I have two acres of land at Manyoni district in Sindida region-Central part of Tanzania. I am very interested in mango growing, i dont know which type of mango tries are suitable for the area, the weather is too dry, short rain season. Dear Sir, Thank you for your valuable information. I am planning for the mango plantation. I am looking for the land in Konkan belt for this. I have offer land from Mangaon, Mandangad & Mahad. If you have any Idea, which location is suitable for the mango, please suggest. Thanks in advance for your kind support. We are from AR4 Mangoes and do have 40 Acres of mangoes farm around Hyderabad. We grow mangoes organically and have farm pond and vermi unit. If you need any information on mango farming you can reach us on arifa@ar4mangoes.com. Current trend where you have sufficient water facility is to go for ultra density mango plantation. Try this to achieve high yield with low land and great quality mangoes with proper pruning every year. Hi, i have a farm at Mkuranga, Tanzania, at present i have planted 8 acres with pineapple seeds, i am planning to plant 300 mango trees, i need advice on which verity is best for this area and where to get the best mango seedlings. please contact me on gminesh@yahoo.com, thanks & regards, Minesh Ghella. i have been recently engaged in commercial mango growing, however i have short information regarding the international market. Currently i have planted over 2000 mango trees. Please update me with Mango marketing. Dear fellow farmers, i want to start Apple Mango farming in Homa-bay District & County, Kenya. please assist me with information on: 1. where to get the seeds/seedlings, 2.How many seedling can fit per acre, 3.Average return per acre, 4. Market information. i have a twenty acre farm in bondo on lake victoria shore. Could Cahrlse Ochiel Odira contact me, since I would like to buy his seedlings. My tel. no is 0723567403. 5) Agronomic practices and, any other info deemed necessary would be appreciated. 6) Agronomic practices and, any other info deemed necessary would be appreciated. i am interesting in Grafted mango tree, but i need some awareness on this, please assist me on the following qns! 1. how long does it take to get the first fruit. 2. how many mangoes per tree are expected in the first harvest? 4. Since it is for commercial basis, Which type of mango has high demand with high price. Want to set up mango farm of about 400 trees near Vapi in gujarat. Will like to discuss all aspects . Let me know how we can meet & discuss. Regards. Sir I am from Indai, maharashtra Dist. Latur. I am 100 trees of mango of kesar varieties in 1 hector. i want to know how yield more fruit of standard quality in minimum water (drip irrigation) plz help me. I am Dennis Ndare, taking BSc in Agronomy Sokoine university of Agriculture(2013),finishing this year. whoever wants to start an agricultural enterprises please consult me .I might be very useful in any agricultural activities you want to start up. Please contact me at e-mail. drdennisndare@gmail.com mobile 0755191515. I will be very grateful for your concern. Thanks NDARE An agronomist. I am alok from india bihar state and bhagalpur district. i have only one acre land but i want to planting mangoes tree so plz help me sir how many will be planting in one acre land. My name is Manas, from Kenya currently working in Kirinyaga but home is Bondo. I have intention to have mango farm but looking for seedlings and advice on mango. Hi, I farmer in Northern Region of Ghana and wants to go in mango farming. I have 200 acres of land to use for the mango plantations, I need a marketable business plan to source funding for the project. Can you help develop one? Thank you.